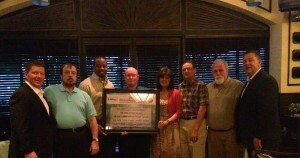 Don Hepburn - Pratt Fort Worth GM; Jake Kramer - Libbey Corrugated/Repack Manager; Archie Myers - Pratt Fort Worth Account Manager; Frank Russell - Libbey GM; Teresa Senkel - Libbey Senior Buyer; Gary Allen - Libbey Corrugated Supervisor; Ralph Shelton - Libbey MRP and Purchasing; Mike Gallagher - Pratt Sales Director. Leading glassware manufacturer Libbey Inc of Shreveport, La, is the latest environmental champion to be honored by Pratt Industries with an Environmental Impact Award. 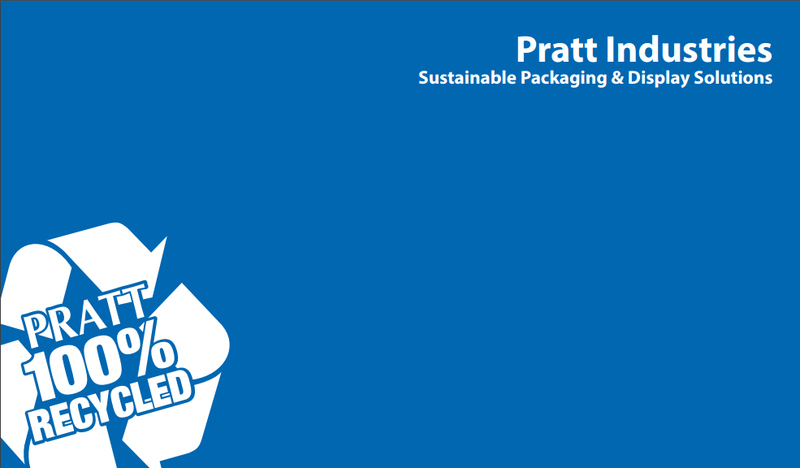 Libbey has been a Pratt partner for 4 years and in that time has embraced the opportunity to promote its commitment to sustainability by using our 100% recycled packaging. In fact just last year, Libbey helped save more than 84,000 trees, 19.8 million kWh of power, 16,000 cubic yards of landfill space and 34.6 million gallons of water – simply by using Pratt packaging which our designers also lightweighted to use even less paper…allowing for additional environmental savings. “It’s refreshing to see a company take its sustainability efforts to such a high level,” said Mike Gallagher, Pratt’s Regional Sales Director. But Libbey’s eco-commitment goes beyond 100% recycled packaging. 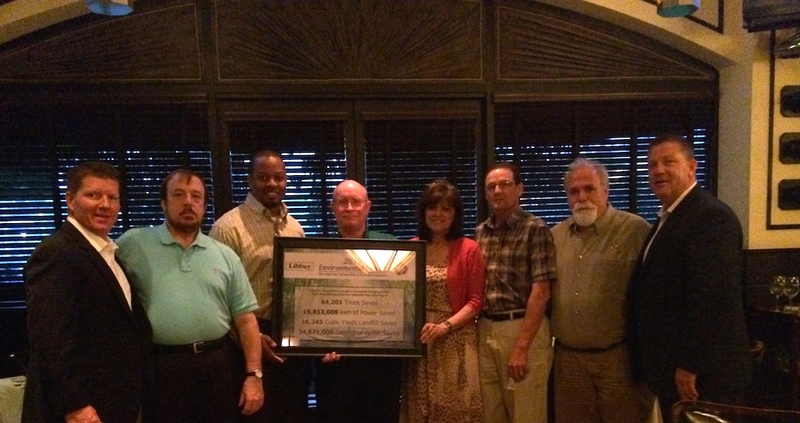 In 2012, it also joined forces with our Recycling Division to help further “Close the Loop” by sending its used corrugated containers to our mill in Shreveport for recycling. Last year that partnership recovered almost 650 tons of old boxes – saving an additional 11,000 trees. “Between material choices and closing the loop with their recycling efforts, Libbey is a stellar example for other manufacturers,” said Gallagher.